1 Watt bright white LED light with 30cm flexible neck. 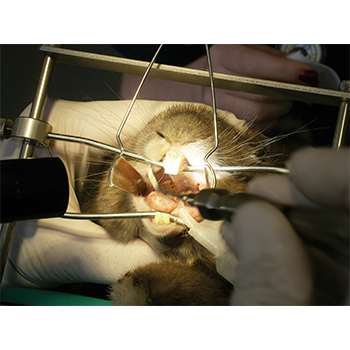 The LED light is ideal for illuminating the oral cavity during rabbit dentistry. The flexible 30cm neck allows the bright light to be easily focused on the area of interest. The LED light is also suitable for the consulting room and surgery where a bright white light is needed. The LED light is supplied with a 110 – 240v transformer and 3m long power cord. 1 Watt bright white LED light with 30cm flexible neck. The LED light is ideal for illuminating the oral cavity during rabbit dentistry. Temperature controlled silicon heater pad further minimises body temperature loss. Supplied complete with low voltage power supply with international approvals.